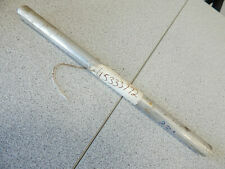 THE SHOCK IS STRAIGHT AND IN GOOD USABLE CONDITION. CENTER SHOCK. 1310 W KARCHER RD. IDAHO MOTORCYCLE SPECIALTIES, LLC. WE WILL DO EVERYTHING WE CAN TO MAKE THE SITUATION RIGHT. Item: Used RIGHT HAND TRAILING ARM OFF OF A RUNNING 1997 XC 600. 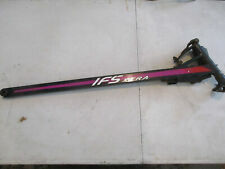 1997 - 1998 POLARIS STORM TRANS SPORT RMK INDY IFS, LH, TRAILING ARM, 1822366. Arm is new but is scratched up and shows signs of shelf life. 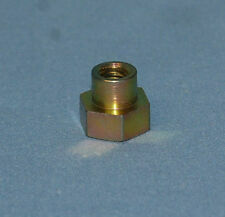 This part will fit on any 2005 900 RMK. NEW POLARIS SHOCK 7041479. XTRA-10 SUSPENSION FRONT SHOCK. Part # 7041975. This will fit 2001-2007 Polaris edge xcsp indy classic supersport 500 600 700 800. The shaft is in great condition. New OEM idler wheel polaris models, Sold as pictured. PART NUMBER: 2204297. THIS IS OFF A:Polaris - Dealer. A-Arm - Upper - Left - Red. OTHER MACHINES THIS MAY ALSO FIT. PART NUMBER: 2204931. THIS IS OFF A:Polaris - Dealer. A-Arm - Upper - Right - Black. OTHER MACHINES THIS MAY ALSO FIT. 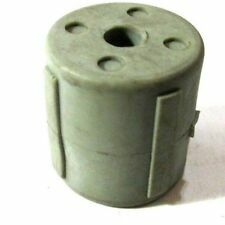 PART NUMBER: 2204930. THIS IS OFF A:Polaris - Dealer. A-Arm - Upper - Left - Black. OTHER MACHINES THIS MAY ALSO FIT. PART NUMBER: 2203019. THIS IS OFF A:Polaris - Dealer. A-Arm - Upper - Left - Black. OTHER MACHINES THIS MAY ALSO FIT. OEM part numbers are stamped on the shock. Removed from 2006 600 Touring. Extended Length is approx. 13 1/2"; Compressed 10 1/2 ". The "Rebound" resistance is better. May be useable. Take off from a Polaris Pro RMK. Appears to be never used, but does have a couple of nicks in the powder coat, shown in the pictures. OEM 210# spring. This item is in VERY GOOD condition. It includes everything pictured. It is straight. Brand new rear shock 7041154. Check your fitment before buying. It has some shelf wear as can see in pictures. Came from the inventory of a dealer that closed its doors in NC. FITS MULTIPLE YEARS & MODELS OF POLARIS SLEDS. We have no interest in short changing anyone in any way at all. With that being said, we are human and do make mistakes. #2 - People installing them on an incorrect machine. #1 - People using the part for testing. SKU# 1540678. 1991 XC 400 0911759 SUSPENSION 400 XC 1540678. 1992 440 XCR 0921760 REAR TORQUE ARM 440 XCR 1540678-067. 1993 440 XCR 0931760 REAR TORQUE ARM ASSEMBLY 440 XCR / 0931760 1540678-067. 1992 SWE 440 XCR S921760 REAR TORQUE ARM 440 XCR 1540678-067. NEW OEM POLARIS TRAILING ARM. 1999 500 RMK. 1999 500 INDY 099EB4BS. 1999 500 INDY 099EB4BSA. 1999 TRAIL 099EB4ESA. 1999 TRAIL TOURING 099ET4ESA. 1999 TRAIL 099EB4ES. 1999 700 XCR 099AB7BS. 1999 XLT TOURING 099ET6AS. This right front trailing arm is in usable condition and shows normal signs of wear. 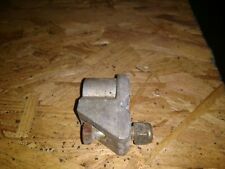 Removed From: 1994 Polaris XLT with UNKNOWN miles.